The new partnership represents expanded web, animation, and interactive offerings for all clients, with a focus on medical marketing and health industry solutions. ...we knew that together we could exponentially increase the value we offer clients. 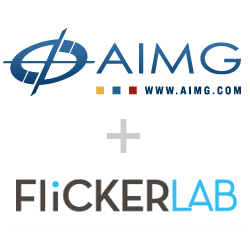 Leading animation and transmedia company FlickerLab (http://www.flickerlab.com) and pioneering digital marketing and web design company AIMG (http://www.aimg.com) announced today a new strategic partnership. The association allows FlickerLab to offer digital marketing and web programming services to bolster their cross-platform transmedia production, and expands AIMG’s web design and marketing capabilities with animation, graphics, games and e-publishing. The partnership has a particular focus on the medical and health fields, as both companies have extensive experience working with medical institutions and in health education. Their combined portfolios include clients such as the American Heart Association, KidsHealth.org, Planned Parenthood, and major hospitals, non-profits and pharmaceutical companies. This new partnership brings the opportunity to introduce groundbreaking interactive and educational offerings into this burgeoning field, with a focus on improving outcomes and lowering costs. The two companies inaugurated their collaboration with a new website produced by AIMG for FlickerLab and a three-minute animated spot created by FlickerLab for AIMG. 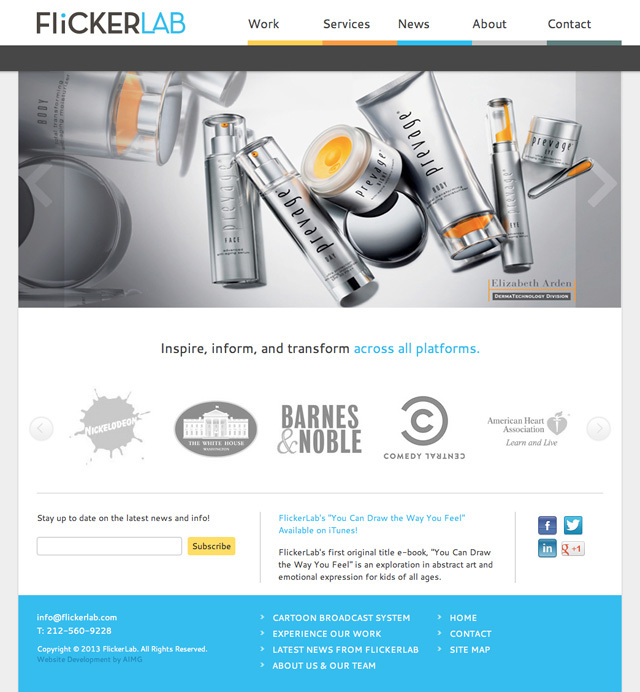 Visit the new FlickerLab website at http://www.flickerlab.com. FlickerLab is an animation and transmedia company that has generated thousands of hours of award-winning content across all media: for broadcast and film, e-books and apps. FlickerLab’s primary focus is to create and develop story universes that easily expand across media platforms and to innovate and transform the technological toolset available to do so. Founded in 1999, FlickerLab is based in Soho, NYC. Established in 1994 as Accurate Imaging, Inc., AIMG is now a global Marketing, Web Development, Search Engine Optimization (SEO) and Small Business Development agency with offices in Clifton, New Jersey, Lake Success, New York, and Charlotte, North Carolina. 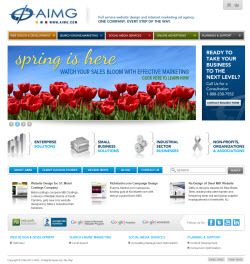 Offering services in website design, custom web application development and integration, digital intelligence, copywriting, search engine and conversion optimization, as well as consulting for marketing and business development, AIMG’s strategic business divisions include Enterprise Business Solutions, Small Business Solutions, Industrial Sector, and NOA (for Non-profits, Organizations and Associations). Visit http://www.aimg.com or call 1-704-321-1234.